When it comes to electricity and electrical connections, it is needless to say that fiddling around with them, with inexperienced hands, will inevitably lead to a mishap or the other. And if you have kids in the house then it is suggested to maintain your electrical wiring and accessories in a perfect manner, because you need to build utmost safety measurement in your house. Electrical contractors mainly deal with the large projects such as industrial electrical installations and maintenance. However, if you intend to refurnish your home and you need to install some new wiring and electrical accessories or component then you can hire these electrical contractors for this job. 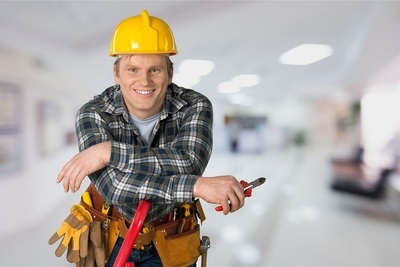 The electrical contractor or electrician has quite a few things on his hands, including customer service, administrative work, installation as well as maintenance. The contractor contacts his customers, fixes appointments, makes site inspections to gauge what materials and tools will be needed, makes sure that taxes and permits are in place, and also maintain the electrical equipment through periodic checks which are included in the contract. Because when something goes wrong with electrical equipment, it takes a very experienced hand to figure out what’s wrong and how to solve the problem, hence I suggest you do your research regarding the best electrical contractors before inking a deal with him. A contractor also has construction obligations, including bending of conduits, heavy object lifting, wire stringing and power tool use. Because of the serious hazards of playing around with electricity, this area is a no bounds area for DIY people, and I strongly suggest you follow this golden rule, having been subject to several rude and painful reminders myself while conducting laboratory experiments in college. 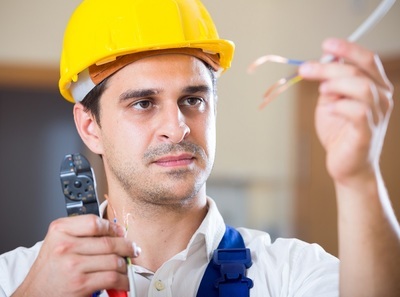 Why do you hire a professional electrical contractor? Electrical contractor mainly structure their company with multiple electricians, electrical engineers, installers and maintenance workers. So when you hire them for some large project, they will inspect the premises and they will sketch the electrical layout by their own engineers. Then they will install the electrical wiring and other components by their electricians and lastly they will provide you the maintenance contract as well as warranty on their work. Apart from that, their electricians are certified and licensed by the local authority, and all of their stuffs are fully insured by the company. Therefore, you can get your work completed without any additional cost by these contractors. Electrical contractors always maintain the quality and they can assure you the best quality work with maintenance guidelines for your home. In the case of you moving to a new home, chances are that your energy requirements will be higher than the previous owner, and installation of an upgraded electrical panel is the first thing to do in this situation. 100 amperes is the minimum for a standard circuit breaker panel, but they also come in 150, 200qs well s 400 ampere variations. It is always advisable to go for the highest rating, because this minimizes chances of fires and electrical outages. Adding new switches, checking, and replacing wires are also integral safety measures. Be aware that when the electrician charges you by the hour, he also calculates the total time taken and the complexity of the job at hand. The factors include access to wires in difficult-to reach places; need to cut into the wall, and the capacity of the electrical board which has to withstand the current drainage without shorting. Even now, you can hire an electrical contractor, from their website, and ask for a quote, for your project.